Hello, I’m John Moulton and I have been designing, building and installing fine cabinetry and furniture in Northern New Mexico since 1983. Over the years, I’ve transitioned from custom cabinetry into design/install of reputable quality cabinets from a few of the best manufacturers in the U.S. We can provide that custom look without the custom price tag by utilizing our woodshop to modify cabinetry as needed. Unlike the “Big Box” model, I manage each cabinet project from start to finish and work with my own small team of installers to see that it all gets done right. You can see our craftsmanship at homes & businesses in Santa Fe, Los Alamos, Abiquiu, Taos/Angel Fire and all points between. I have been personally involved in hundreds of kitchens and bathrooms along with a full portfolio of custom furniture. The kitchen learning curve never seems to end and the challenges keep me passionate about my work. See “How We Work” for more details. At one time, cabinets were merely boxes with shelves, doors and a drawer. Available in just a few styles. As with all facets of construction, your choices for cabinetry and counter tops are now seemingly endless. I can guide you through the maze of options and create a cabinet to fit your needs with a careful eye on your budget. Drawings will be produced using the most advanced CAD software allowing you to see your project come to life before your eyes. Full Access cabinetry from Ultracraft . Our woodshop allows us to add the custom touch as needed. We do not fabricate these items. I have a fabricator that I like to work with or you can provide your own. I have extensive knowledge of countertops and for an additional fee, can proved oversite of the tops from product choice to templating and installation. 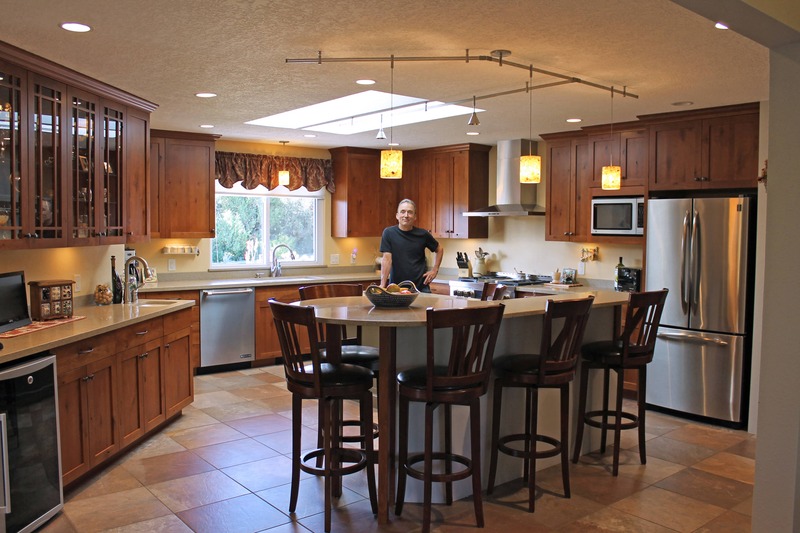 We can coordinate your installation of both cabinetry and countertops in a timely manner. We do our best to work with the other trades involved in homebuilding with clear communication and planning. Personalized service gives the client the confidence to know that they will be working with a team of professionals.